Thanks to its beachside location and surf town roots, San Diego offers endless laid-back vibes all year-round. But that doesn’t mean that locals don’t love breaking a sweat practically every day. Whether you’re on the beach or in the park, you’ll see at least half a dozen San Diegans getting their daily workout in. And while we love to mix it up with rooftop cycling classes and beachfront CrossFit, yoga will always be our favorite way to sweat in America’s chillest city. Thanks to locals’ love of yoga, there is a studio on practically every corner from National City to Solana Beach. Luckily, we’ve rounded up a list of our favorites for you to try out before finding a studio to call your OM. In 1999, the yogis behind Pilgrimage of the Heart set out to provide their community with a space for traditional yoga teaching and spiritual practice. And since their humble beginnings as a small gift shop almost 20 years ago, Pilgrimage has grown to become one of the largest and most respected yoga studios in the area. Between their two locations, there are classes available almost every hour of the day to get your mind-body fix. Get your groove in Bird Rock — the sleepy surf town where ritzy La Jolla meets party central PB. Riffs, a Bird Rock institution, is a music shop/yoga studio mash-up that’ll make you feel as comfortable as you would be hanging out on your neighbor’s back deck. 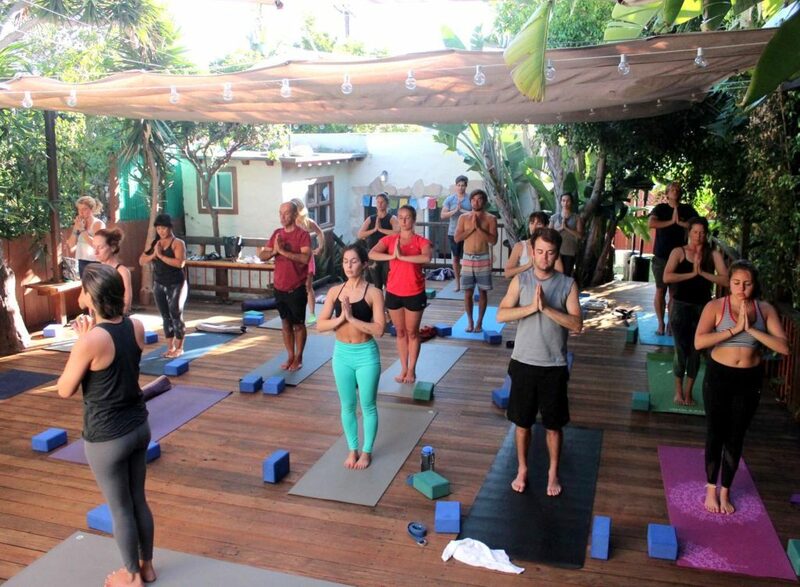 The lush outdoor space is the perfect backdrop for a tranquil yoga class. Try out a class that offers live music and you’ll start wondering if you’ve somehow been magically transported to Bali. Flowing in the heart of Pacific Beach, Spirit Yoga immediately gives you a sense of being home. The staff is friendly, the studio is beautiful, and the classes are fun. 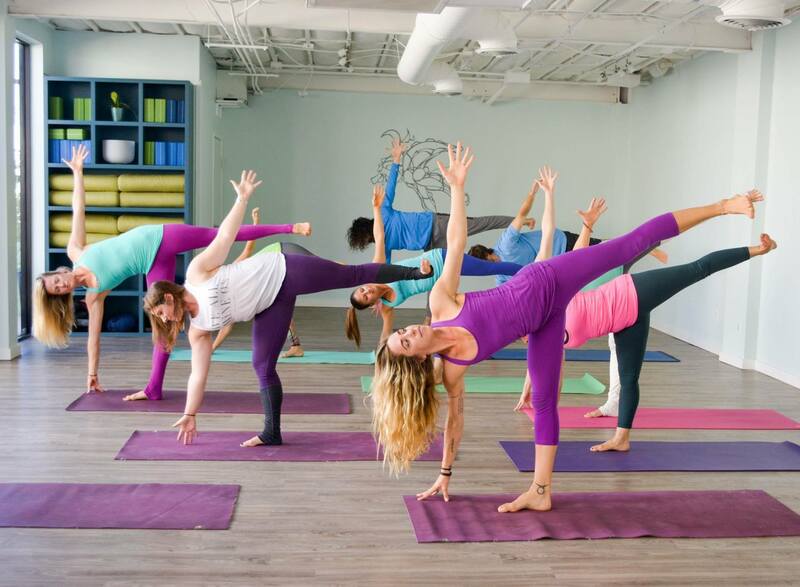 Outside of a jam-packed Vinyasa yoga schedule (with classes for all levels), they also offer regular workshops for yogis looking to expand their practice into something a bit more encompassing. Choose from single-day courses focused on breathing techniques or several-week intensive classes that will have you mastering even the most challenging inversions in no time. Despite the name, Bird Rock Yoga is actually located in Pacific Beach (and just two quick blocks from the beach). This studio exudes community — it’s cozy, warm, and welcoming enough that everyone seems to be on a first-name basis as soon as they walk through the front door. Want to take your class outside of the studio? They offer bi-weekly beachfront classes at Law Street Beach for a small donation as well (and conveniently schedule them during sunset, because duh). Visiting Ocean Beach is like traveling back to the hippie heyday — you can’t walk two blocks without spotting a tie-dye shirt or getting a whiff of incense. So, it’s only fitting that Indie Yoga calls this ‘hood its home. In addition to the typical Vinyasa-style classes, they offer options like Yin/Yang flow with sound healing (now’s your chance if you’ve never tried it) as well as classes dedicated entirely to developing your breathwork. The cranked up temperature rounds out the experience, leaving you sweaty and refreshed after every class. Sure, stand-up paddleboarding isn’t exactly a new concept, but doing yoga while stand-up paddleboarding? Yep, we knew we’d get you there. 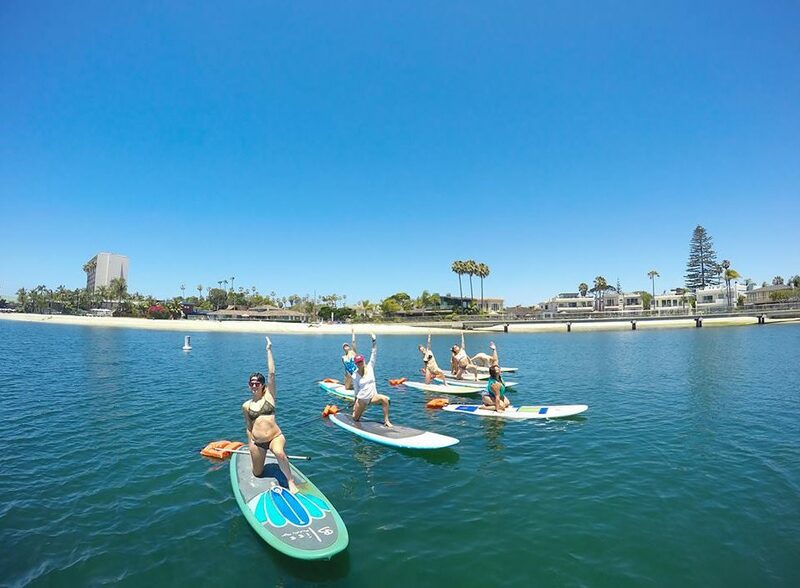 This fun outdoor workout on the water combines the balance challenge of SUP with a dynamic series of your favorite yoga poses for an afternoon on the bay you’ll never forget. Slather on your sunscreen and head to Mission Bay to pop into one of these classes — we promise you’ll find your sea legs in no time. Sometimes sipping a freshly-pressed green juice or munching on a refreshing acai bowl is the only way to end a challenging yoga class. Thanks to their in-house juice bar, Mantra Yoga has you covered. Start your morning with a Hot Fusion flow and then dive into something delicious from the bar — we can guarantee you’ll be floating through the rest of your day. Fitt Tip: Mantra is currently offering a killer $30 for 30 days deal for new students (get on that!). The UTC area of La Jolla is best known for its endless business parks and hospital buildings, but there’s a hidden gem in that urban jungle — Sol Yoga, a straightforward studio that offers heated classes every day of the week. Sol is the perfect studio for yogis looking to take a quick flow during their lunch break or on their way to work (the drop-in rate for their noon classes is only $13). 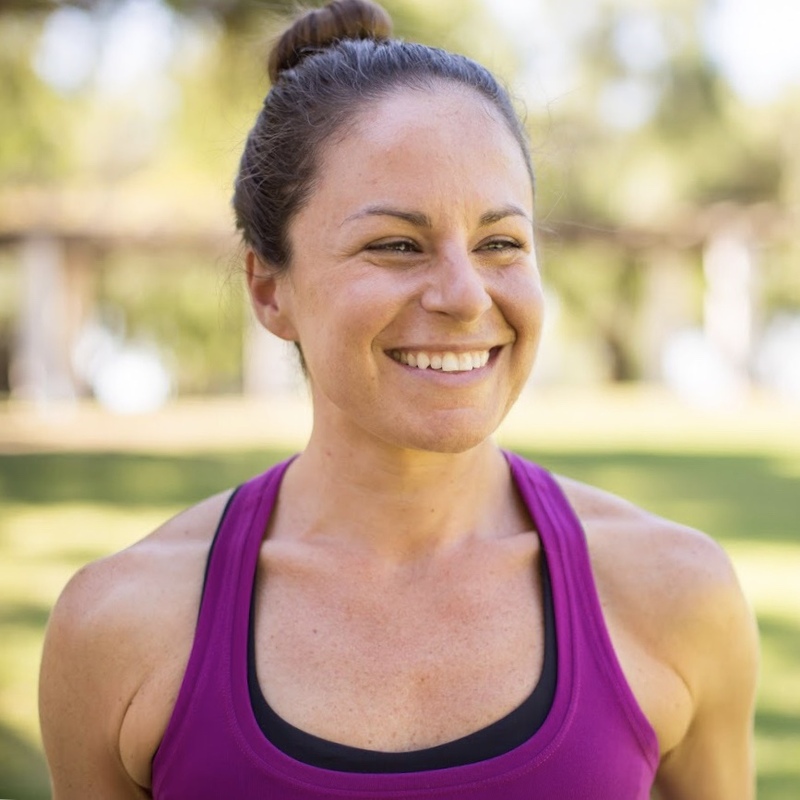 Buddhi Yoga is a boutique yoga studio conveniently located right in the middle of La Jolla Cove. Thanks to floor-to-ceiling windows and a killer view, the studio feels bright and refreshing. 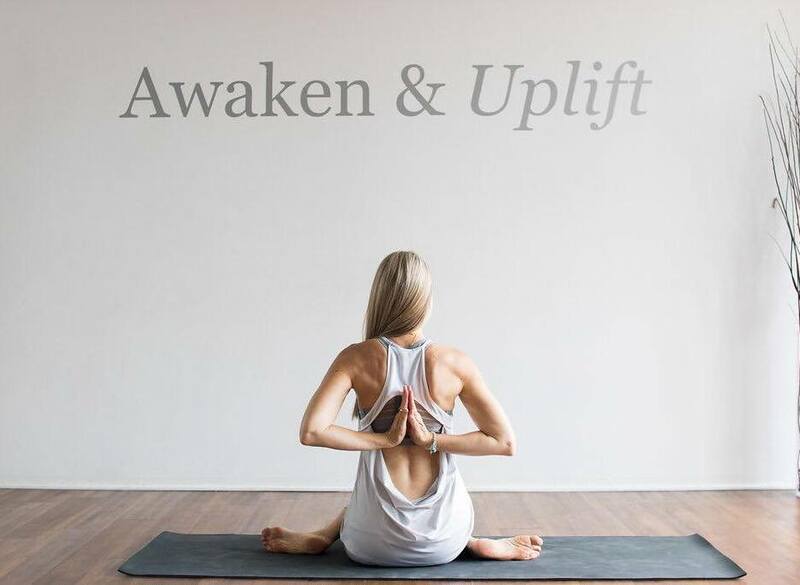 Plus, with classes led by some of the best-known instructors in La Jolla and beginning as early as 5:45am and as late as 6:45pm, even the busiest yogis can squeeze in a flow. 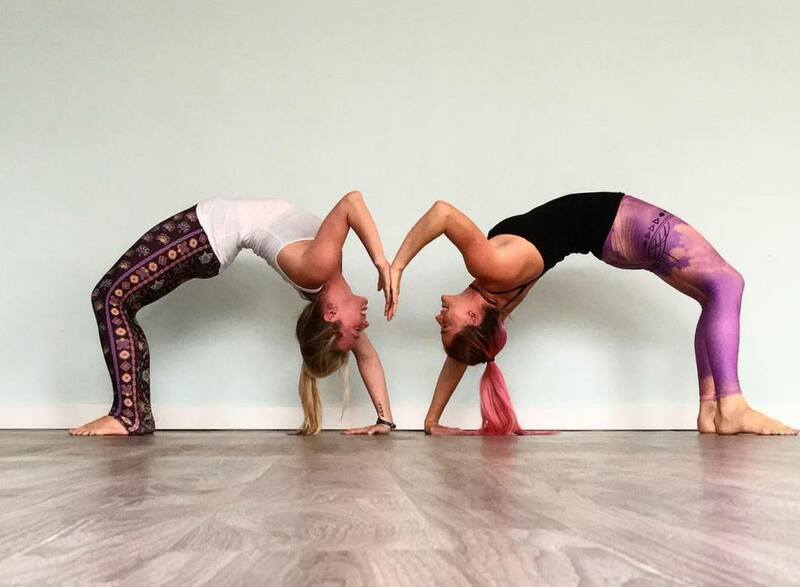 Fitt Tip: be sure to check out their partner, Shade Boutique — the perfectly curated yoga shop keeps only the best clothes and accessories on hand. The Midway district of Point Loma has long been considered a relatively rough neighborhood where you’re more likely to head for fast food and bargain deals than a relaxing yoga class. However, hidden amongst neon signs and bumper-to-bumper traffic is the House of Yogi — a bright, cheery studio filled with decor reminiscent of somewhere far away from the hustle and bustle outside the door. Join them for a range of classes, which are well-spaced throughout the day. The name could not be more fitting for this one-room yoga studio in downtown San Diego. When you open the door to The Little Yoga Studio you literally step right into the studio where classes are held. And while it is petite, we happen to think it’s perfect — the simple, wood-focused design is warm and welcoming and the instructors utilize the small space so well, you’ll completely forget about the lack of square footage. Despite a somewhat inconvenient location downtown (hello, tourists), Pura Vida is one of the most-beloved studios amongst locals in all of San Diego. The instructors are top-notch, the classes are straightforward, and the studio feels like home, whether you’ve been there once in your life or once a day for years. 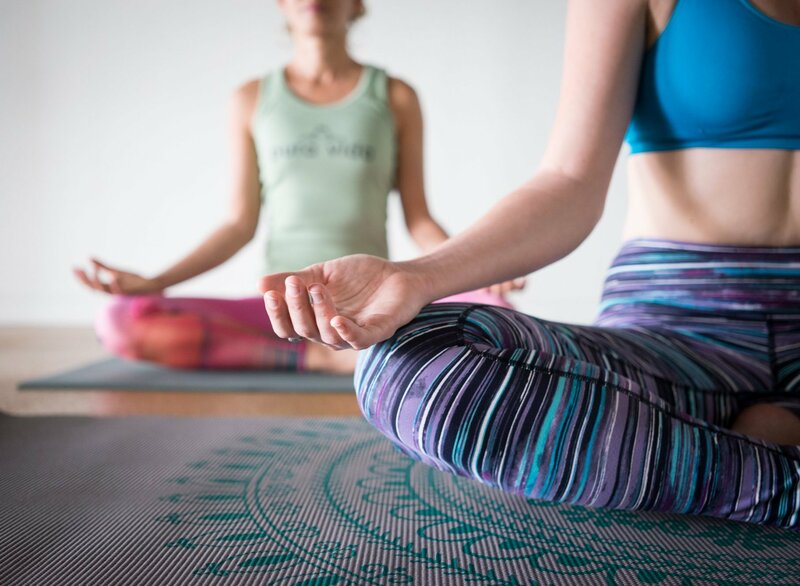 MOSAIC Yoga, in the charming neighborhood of Golden Hill, was started by a husband-and-wife team as a sister studio to their first location in Charlottesville, Virginia. 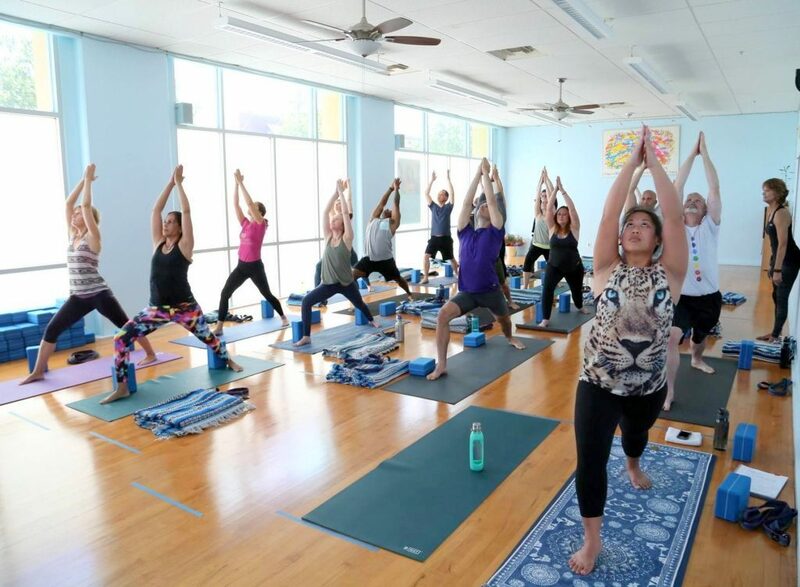 Their goal for the studio was to create a community that was about more than just yoga, and they have done just that thanks to a full schedule of health, leadership, and spiritual development classes, workshops, and teachings in addition to some of the best yoga classes in town. 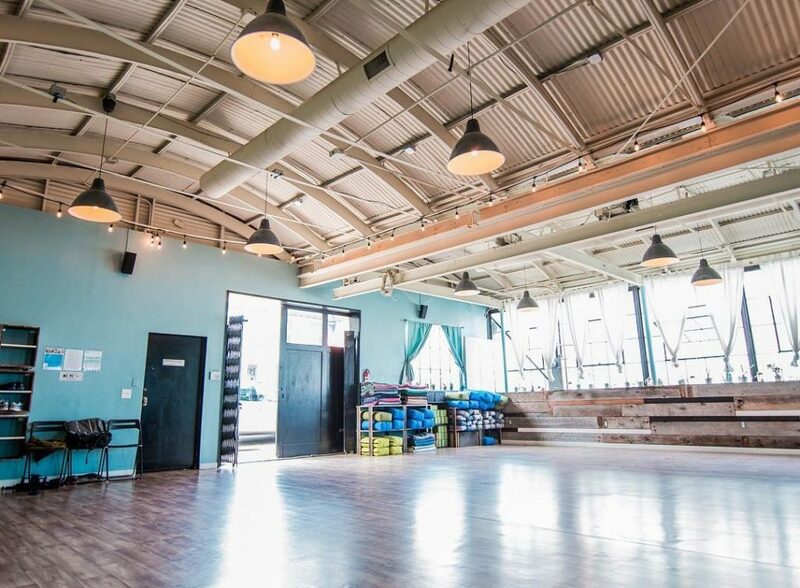 Trilogy Sanctuary holds up to its name — it’s a triple-threat of aerial yoga, an infrared-heated indoor studio space, and an organic, vegan cafe. 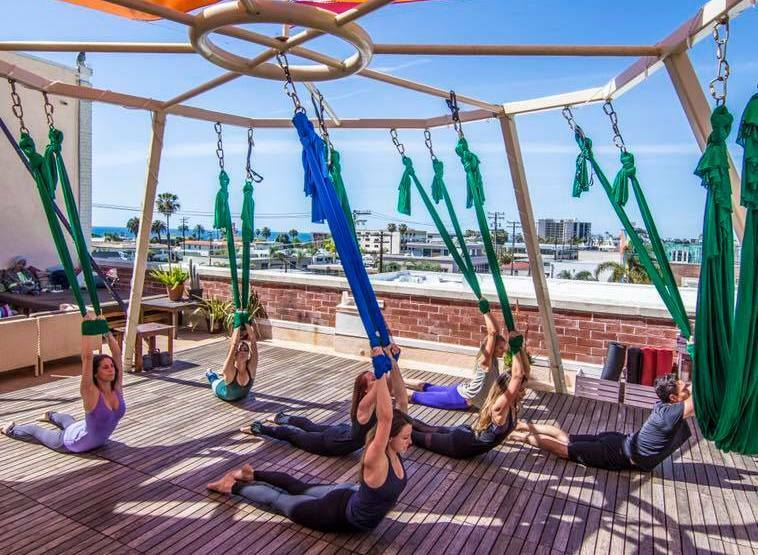 The La Jolla location boasts a rooftop space with daily aerial yoga classes overlooking the ocean as well as plenty of comfy nooks to enjoy your raw, organic, vegan snacks (that’s a mouthful, literally). And on the rare rainy San Diego day, you can take your indoors, where the temp is cranked up to almost 100℉. 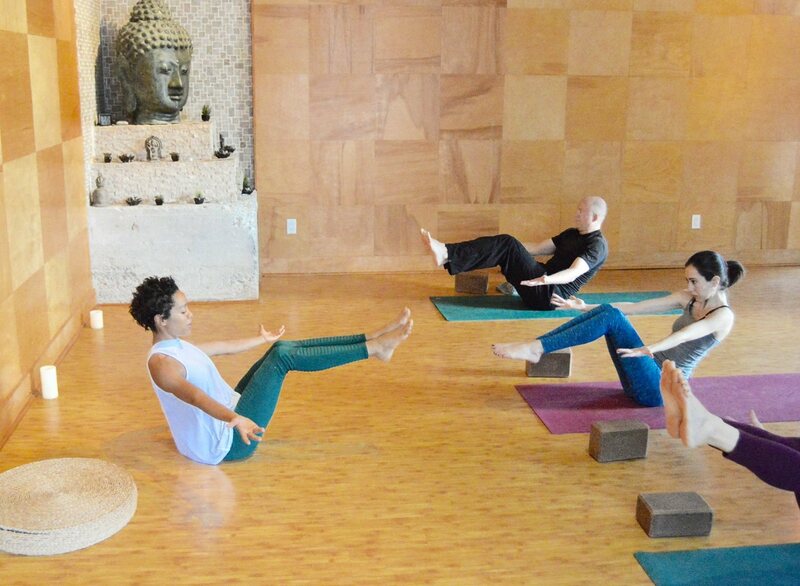 Rooted on Garnet Ave. in Pacific Beach, a street well known for short-lived ventures, Reach Yoga has become a beloved hideaway for locals looking to escape the madness of PB. Their heated classes are taught by some of the most talented instructors in Southern California and are held until 9pm nearly every day of the week (including Saturday nights). So, consider skipping the bars next weekend and giving hot yoga a try — we can guarantee your Sunday will be a whole lot less scary.